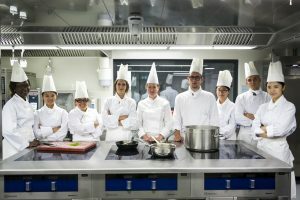 (The Standard) Students looking to embark on a career in the hospitality industry are being offered a chance to get a head start at summer camps run by the Swiss Education Group in Switzerland. The alliance of five schools – four in hospitality management and one culinary – not only offers undergraduate and postgraduate education, but also short-term courses for students to develop a fine understanding of the industry. Renowned for its natural beauty, Switzerland is also a cultural melting pot, where German, French and Italian are widely spoken. At the Swiss Education Group, those aged 12 to 18 can opt for language courses in English, French or German. A minimum of one-week’s stay at Swiss Hotel Management School in Leysin is required. Those in the English and French streams can stay up to eight weeks, while German courses run for four weeks. “Upon their arrival, participants take a placement test and are put into classes of 12 to 13 according to their proficiency. 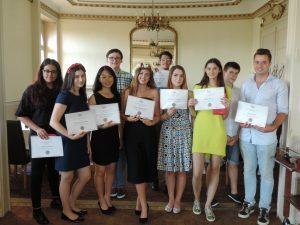 They will benefit from a mix of nationalities and broaden their horizons,” said Tracy Chan, the Swiss Education Group’s director for Hong Kong, Macau and PRC. A typical day includes four 45-minute classes, alongside sports, excursions as well as sightseeing and leisure activities in the afternoon and evening. 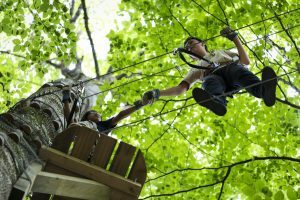 Examples include rafting, hiking, climbing, laser tag, bowling, and visits to the water park and museum. 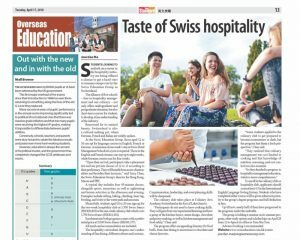 Meanwhile, students aged 16 to 20 can sign up for the two-week hospitality club at 3,500 Swiss francs (HK$28,803) or the one-week culinary club which costs 1,750 Swiss francs (HK$14,402). Enrolment into both programs comes with a preferential price at 5,000 Swiss francs (HK$41,157). The hospitality curriculum deepens one’s understanding of fine dining, different cultures and customs. Communication, leadership, and event planning skills will be sharpened. The culinary club takes place at Culinary Arts Academy Switzerland at the foot of Lake Geneva. “Participants do not need to have cooking skills. They will gain from our experiential learning and have a grasp of the kitchen basics, menu design, chocolate and pastry-making, as well as kitchen management and food safety,” Chan said. The program offers an appealing itinerary for food buffs, from fine dining to excursions to chocolate and cheese factories. “Some students applied to the culinary club to get prepared to become restaurateurs or chefs, but the program lent them a fresh perspective,” Chan said. “They realized that culinary management was not limited to cooking and that knowledge of nutrition, seasoning, and cost control was also essential. To enroll in the culinary club or hospitality club, applicants should score at least 4.5 in the International English Language Testing System. Students who have completed either course will be given admission priority to the group’s degree programs and full deduction in fees. Up till now, nearly half of them have progressed to the programs under the umbrella. The group is holding a seminar on its summer program, other study options and scholarships on April 28 from 12 to 4pm at its office in Tsim Sha Tsui.